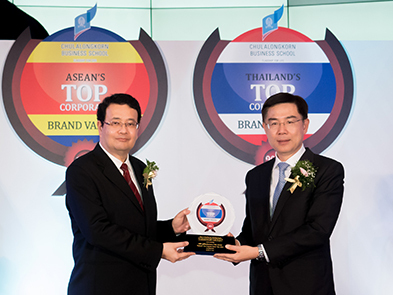 Siam City Cement Public Company Limited (SCCC) has been honored with “Thailand’s Top Corporate Brand Value 2018” award in construction material business category for the second consecutive year. 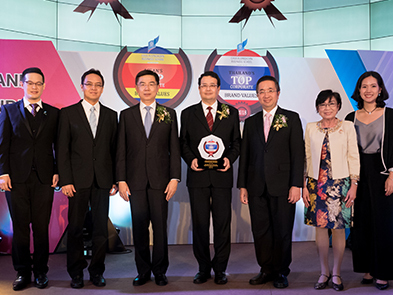 SCCC brand value has reached 41,552 million baht in 2018, the highest in the sector, reflecting SCCC’s outstanding performance. 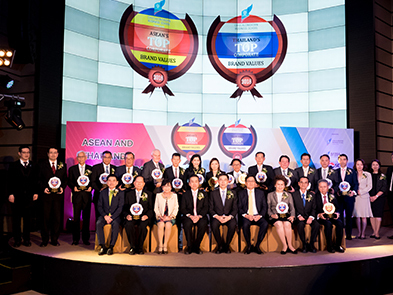 Siva Mahasandana, Chief Executive Officer of SCCC, represented the company in receiving the award from Prof. Bundhit Eua-arporn, President of Chulalongkorn University at the “ASEAN and Thailand’s Top Corporate Brands 2018” event recently held at Sukree Kaewcharoen Auditorium, the Stock Exchange of Thailand (SET). 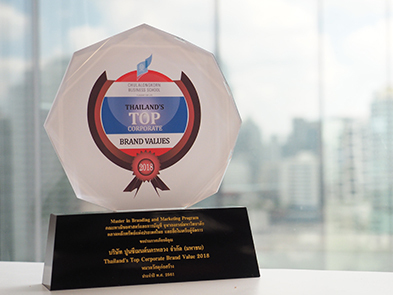 “Thailand’s Top Corporate Brand Values 2018” was jointly organized by the Faculty of Commerce and Accountancy’s M.S in Marketing programme at Chulalongkorn University and the Stock Exchange of Thailand in recognition of Thai organizations that had achieved outstanding corporate brand value in each of 15 categories. It was derived from the study on “Thai Corporate Brand Valuation” which used the evaluation methodology called "Corporate Brand Success Valuation" (CBS Valuation).